It’s impressive enough when the creative development of a band is galvanized by just one visionary - their commitment to progressing their plans, their success, or their futures becomes infectious so all tow the company line in unity. So, imagine the possibilities when a 13-strong collective of thoroughly modern artists who embrace every facet of their culture and media push together as one. The first of our four cover stars for Clash 109 is BROCKHAMPTON, the self-declared “Internet boyband” whose individual talents and ambitions merge to conceive a synergetic raw power that is unyielding in its strength in numbers, and perfectly embodies this issue’s dominating theme. Luring the troop away from sessions at London’s eminent Abbey Road Studios where ‘Iridescence’ was completed, Clash caught up with BROCKHAMPTON to discuss overcoming egos, the plight of fandom, and the importance of being true to oneself. 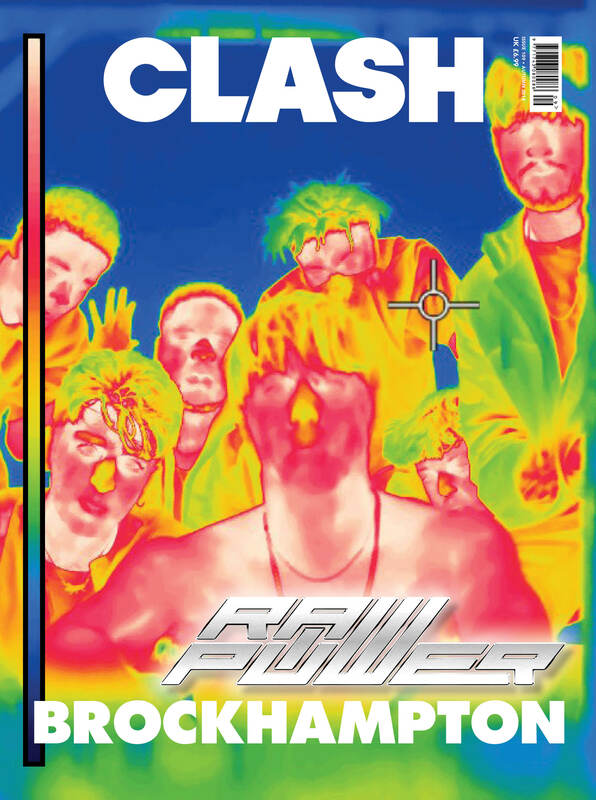 Clash 109 is available to buy online now ahead of its release next week - get the magazine HERE.